The guys at Dewmuffins have a new set of beautiful papercraft for you to build! They’re only a click away, bringing natural beauty to your bedroom, bathroom, office, kitchen, closet, dashboard, club house, tree fort, and the world. 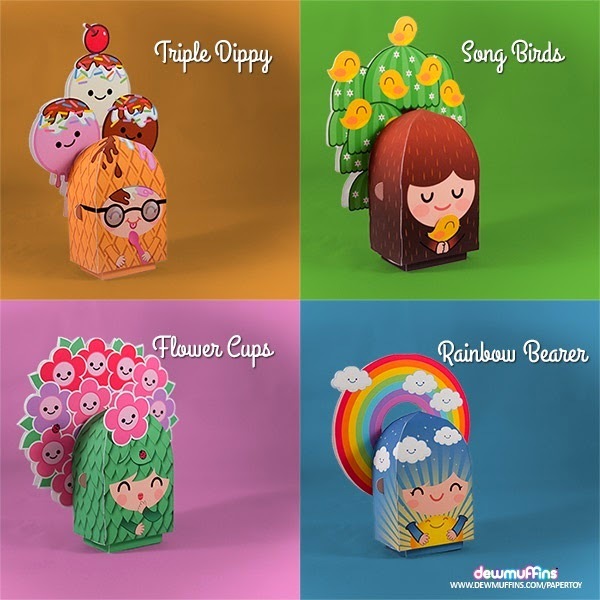 The Terralings are; Triple Dippy, Flower Cups, Rainbow Bearer and Song Birds. Who would believe that paper toys have the potential to bring such joy to humankind? So go ahead, download your Dewmuffins Terralings and bring the earth to a much happier state.